The Parara-Jamog farm-to-market road (FMR) is a 7.89-kilometer road under the Department of Agriculture’s Philippine Rural Development Project (DA-PRDP) in Western Visayas. The Araw ng Kagitingan (Day of Valor) celebration has been more memorable because of the inauguration of the Php87M worth of Farm-to-Market Road (FMR) in Tigbauan, Iloilo, April 9. “This can be an alternative route going to the towns of Leon and Tubungan, Iloilo, and it provides access to the Iloilo-San Jose National Road,” said PRDP-Regional Project Coordination Office (RPCO) 6 Deputy Project Director Manuel O. Olanday. He added that the transportation cost will be reduced by 25%. A total of 20, 236 farmers and fisherfolk are the direct beneficiaries of the project. 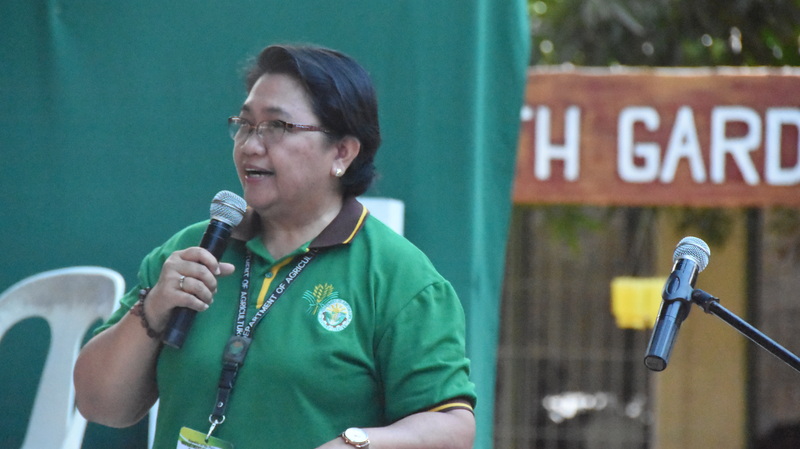 “Based on the Provincial Commodity Investment Plan (PCIP), the access road is important in boosting the swine industry of Tigbauan,” said PRDP Project Support Office (PSO)-Visayas Cluster Project Director and Department of Agriculture-Western Visayas Regional Executive Director Remelyn R. Recoter. She further said that the road project will not just help the livestock industry but will also help boost other agricultural activities such as rice, corn and high value crops production, and eventually help increase the economy of the town. “Poor transportation services and unavailability of access roads may affect the economic growth of a municipality,” added Recoter. According to her, the new FMR will help attract investments to the town and to nearby municipalities. Aside from boosting the swine industry of Tigbauan, Iloilo based on the Provincial Commodity Investment Plan, Project Support Office – Visayas Cluster Project Director calls on the local government unit together with the beneficiaries to come up encourage the LGU Tigbauan to come up with an ordinance imposing a speed limit to all types of vehicle that will use the farm-to-market road. “Thank you, Governor Defensor, for believing in the project and for providing opportunities to our farmers and fisherfolk for them to improve their lives,” she said. Meanwhile, Gov. Arthur D. Defensor Sr. commended the Local Government Unit (LGU) of Tigbauan for its initiatives and commitments during the implementation of the project. “Among the 42 municipalities of Iloilo, only six (6) towns were able to avail of the project and the municipality of Tigbauan is one of lucky recipients of this project from PRDP,” said Governor Defensor. “And among the 6 municipalities, only Tigbauan provided a share worth Php2M,” added Defensor. On the other hand, Tigbauan Mayor Suzette T. Alquisada lauded the PRDP, Provincial Government of Iloilo and LGU-Tigbauan for their help in ensuring the success of the project. “We have waited this project for two years and now, it is finally completed,” said Mayor Alquisada. “This is not yet the end of the project, but this is just the beginning of something greater for the municipality of Tigbauan,” she added. She said that the LGU Tigbauan has already prepared series of projects that will help improve its economy. She also said that they are now on track towards sustainable development. “Embrace this blessing and make today worth remembering,” said Alquisada as her closing statement during the inauguration. With the completion of the Parara-Jamog FMR, PSO-Visayas Project Director Remelyn Recoter reminded the beneficiaries to take extra caution while travelling using the newly concreted access road. “I would like to encourage the LGU Tigbauan to come up with an ordinance imposing a speed limit to all types of vehicle that will use the FMR,” said Recoter.